Webdefy Creative Studio is a new age graphic design and digital marketing company in chennai, transforming brands online and offline. We come to you with our latest news and updates with this edition of Webdefy's Newsletter. 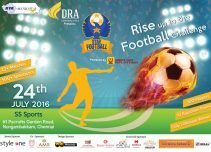 From being a creative design service provider, this month we became a design sponsor for RYA Metrostar's Star Football Tournament. We are delighted to share our most recent creative graphic works created for our customers. Stay tuned for more next time. Awaiting to Webdefy more brands online & offline. Stay Connected. Cheers! Let our digital marketing, graphic and web designing works do the talking now. Guaranteed to impress you without a doubt. 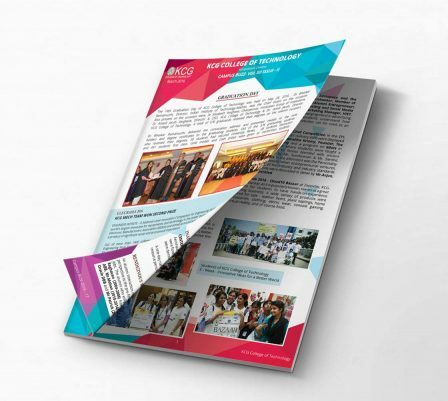 The featured works include print design for KCG College of technology. The work includes a Campus Buzz magazine design and a Placement Presentation, each in its own persona. Pfizer, global leader in Pharmaceutical Industry is a new addition to our clientele. Our communication design for the brand encouraged more interaction from the top management team during their international business meet organised by their Chennai office. Working alongside with the event organisers, our designs for Metrostar's Star Football Tournament enriched the brand appeal of the event and its sponsors. Yes, the event was a super hit. We believe that "Knowledge is the one thing that does not deplete when shared with others." Subscribe to our blogs and stay updated with tips, techniques, know -how’s and trade secrets of providing creative solutions with respect to web, creative graphic design and digital marketing. Google’s influence on the digital marketing world is immeasurable. Google’s market dominance in terms of the number of people using the search engine is undisputable. Google Adwords is Google’s own advertising service, which allows you to place search results on your website on a search engine results page (SERP) by paying for them. Look who's the lucky subscriber of the month!! It is Gokul Gopalakrishnan from Bangalore! Thank you Gokul Gopalakrishnan, for subscribing! Looking Forword to start Project With us? Our lovely team always has time to talk to you. Give us a call, write us an email or even drop by to our office.